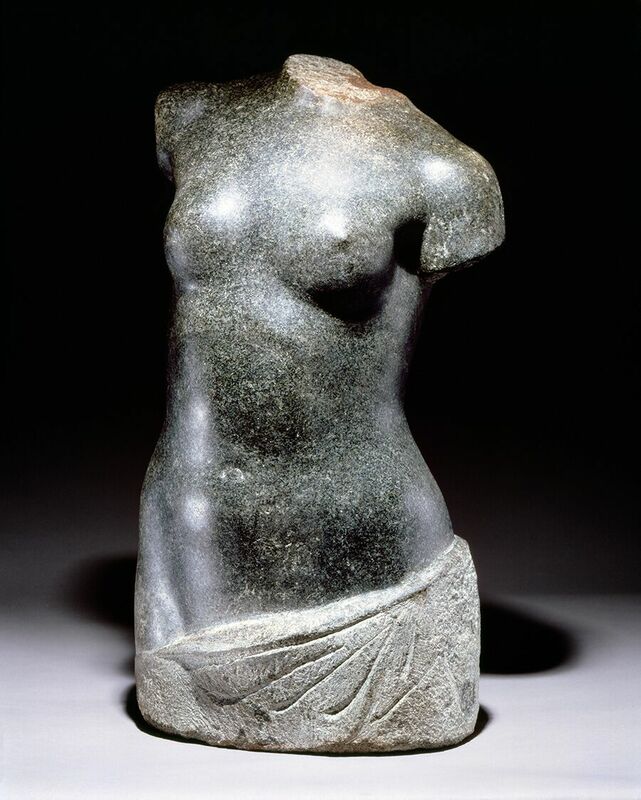 Conner-Rosenkranz, premier dealers of 19th and 20th Century American sculpture in New York City and authors of Rediscoveries in American Sculpture, Studio Works, 1893-1939, didn’t discover Frederick Warren Allen until fairly recently when they were presented with the North Haven Greenstone torso for auction. In a conversation with Allen’s granddaughter, they told her they had never seen its equal. Coming from this respected dealer, those are words of high praise. The dark greenstone is common along the shore of North Haven and so it is expected that F.W. Allen would have used it for carving. “When a sculptor completes a piece, he lives with it for a time,” Allen’s assistant Elizabeth MacLean-Smith remembers him saying. “Unlike pieces in bronze, it can still be changed. Carving, be it in wood or stone is a constant challenge.” And so the 22-inch green Torso (he also did at least one small marble torso) was, in its early incarnation, a much heavier figure in its styling. MacLean-Smith recounts, “Later his mood or his taste changed and he came to feel that the more lithe and supple forms – almost sparse – contained more of beauty than the heavier ones.” If there were images of the early piece, it would be an interesting study to compare and contrast the two. Allen taught his students, “Sometimes it takes two to create a piece. The second tells the maker when to stop.” And so the Torso told him it was finished, and splendid it was!